Many people live in harsh environments and deal with salts, moisture, and environmental pollutants at some point throughout the year. In Austin, it is the extreme heat that is usually the culprit. This can be very tough on the strongest of concrete, causing a lot of early wear and tear, and degrade the concrete surface slowly overtime. 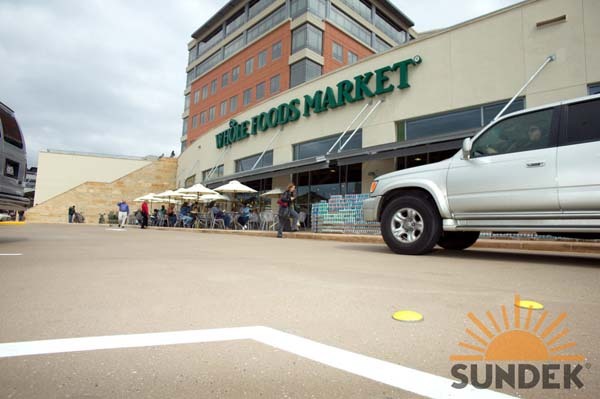 SunSplash overlay system, like other Sundek overlays, offers the ability for custom design and decorative effects, yet the texture also provides a safe, skid resistant surface that is highly durable and holds up in the toughest of conditions and high traffic areas. 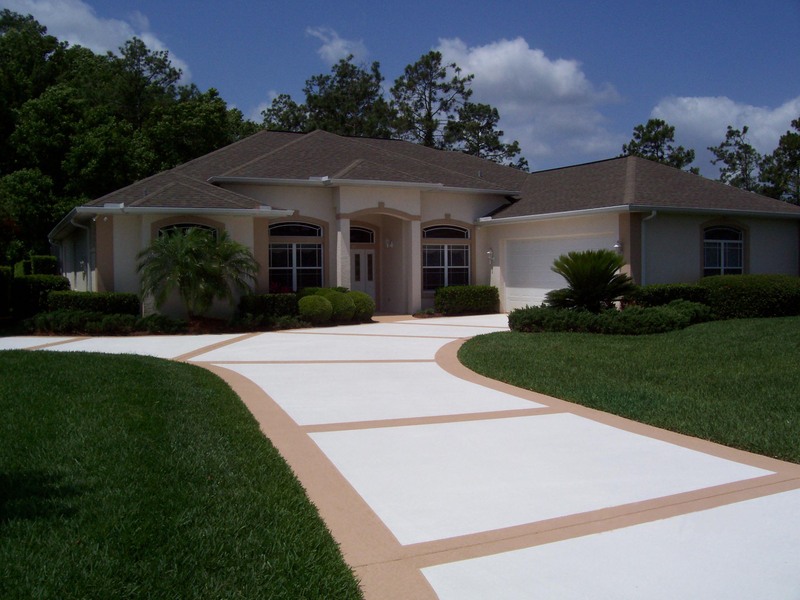 SunSplash was designed to help protect the concrete from many extreme environments. Features and Benefits: There are many benefits to the SunSplash system. SunSplash offers an economical finish that is easy to maintain, yet provides a durable, anti-slip textured surface that is safe, and looks appealing in any setting. It is customizable, and offers an array of options for color and design to match any interior or exterior surrounding. Where to use it: You will find SunSplash in and around Austin homes, commercial and retail spaces including, Pool decks, patios, walkways, entryways, drives, courtyards, and breezeways and restaurant floors. How it’s done: SunSplash is installed by a trained Sundek craftsman. The product is applied onto the prepared surface with a spray-gun and then knocked down with a trowel to achieve the textured pattern leaving an “orange peel” effect. 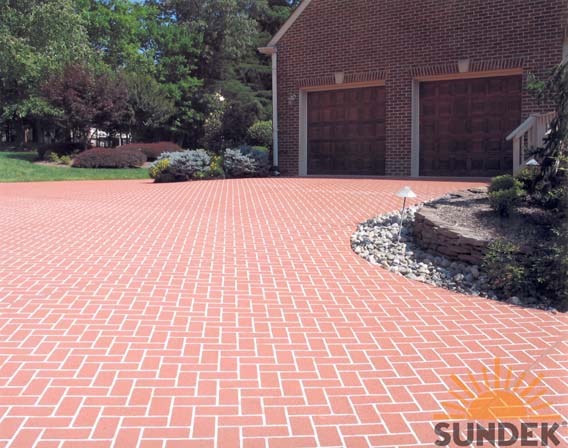 Depending on the surface it’s applied to, SunSplash can either be installed directly onto a clean prepared concrete surface or installed over a pre base coat. The Austin Sundek installer will advise which system best suits the project. 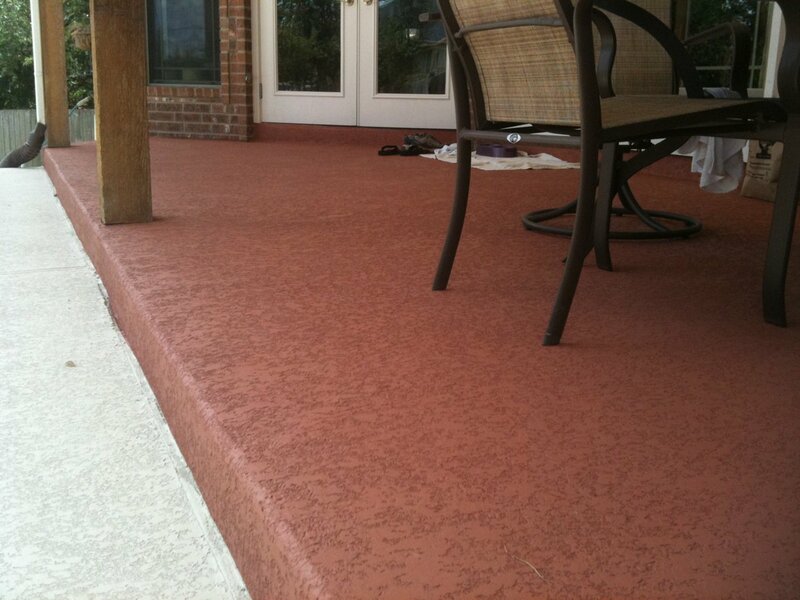 Once cured, SunSplash can be colored and decorated , and then should be sealed and protected with a clear coat sealer to ensure a long lasting durable surface.